March | 2011 | ride. travel. live. 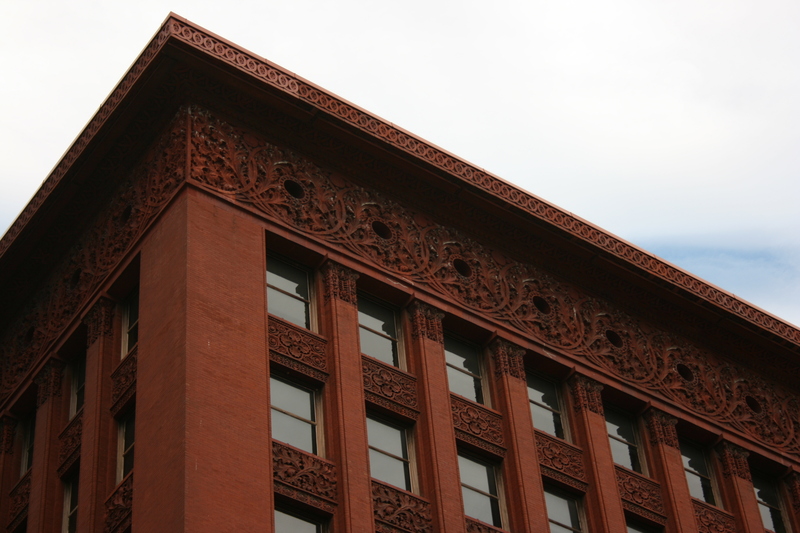 I had the chance to visit both of these masterworks of Louis Sullivan and Dankmar Adler, two early skyscrapers, one located in St. Louis, the other located in Buffalo. I suppose that they’re grouped together by the date of the two structures, and the similarity of materials. The earlier of the two structures is the Wainwright, built in then-boomtown St. Louis in 1891. This is one of Adler and Sullivan’s earlier works, completed several years after their landmark Auditorium Building in Chicago. This building expresses mass and verticality at the same time. The overhang of the roof lends it a strong presence, while the unadorned columns are unabashedly vertical elements that make it appear taller than its 10 stories. 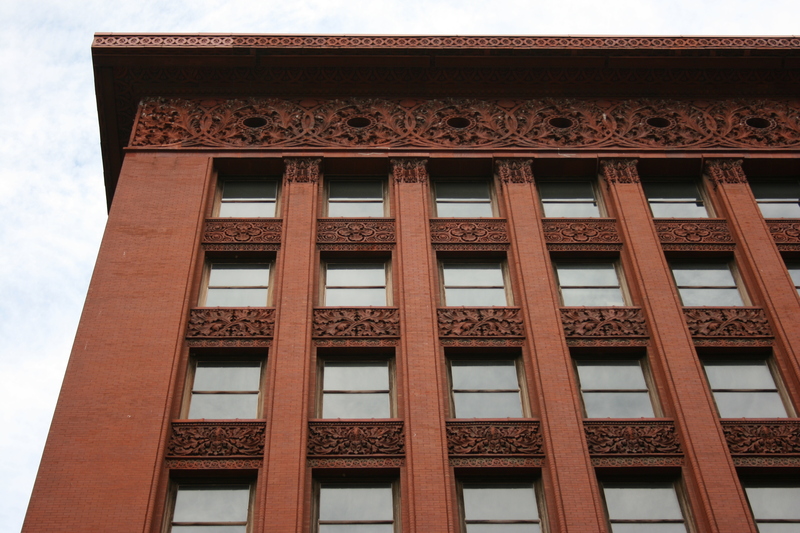 The signature decoration of Sullivan is muted, in contrast to the Guaranty Building. 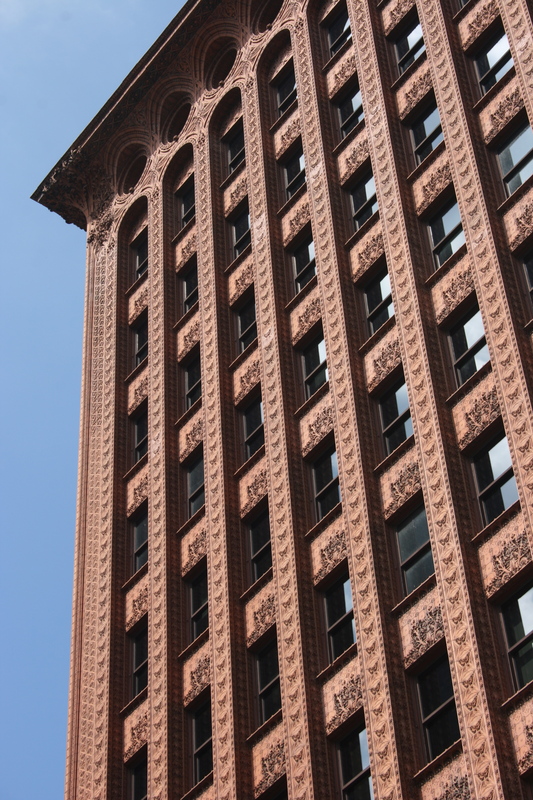 The Guaranty Building, completed in 1894, lies in a particularly distinguished corner of a distinguished downtown Buffalo, just down the street from all sorts of Art Deco jewels, and next to a Daniel Burnham creation. To me, the Guaranty Building is the more aesthetically pleasing of the two, more vertical in its sweep, especially with the outward curve of the structure at the top, and the wonderfully detailed carvings on the upper floors. The overriding feel here is delicacy. 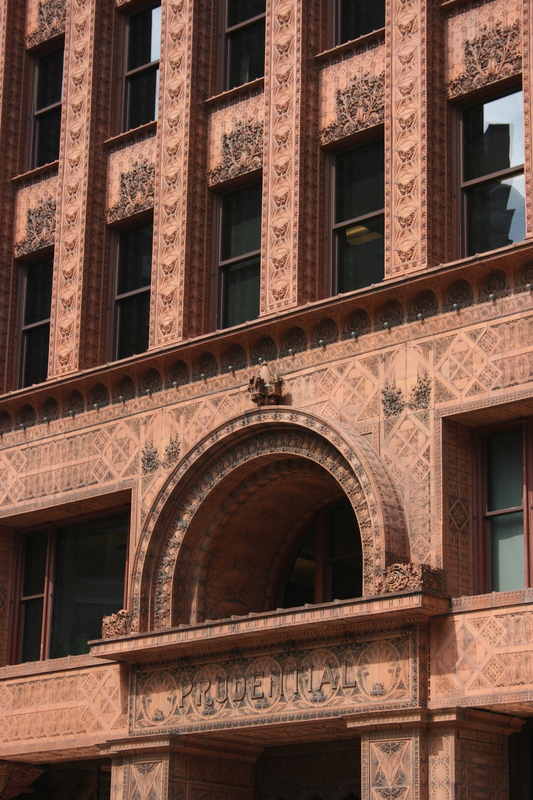 The columns in the Guaranty Building are decorated, in fact, the entire facade of the building is decorated, and the overall effect is that the steel frame of the building is very nearly exposed. The building comes across as almost precarious, nearly naked. 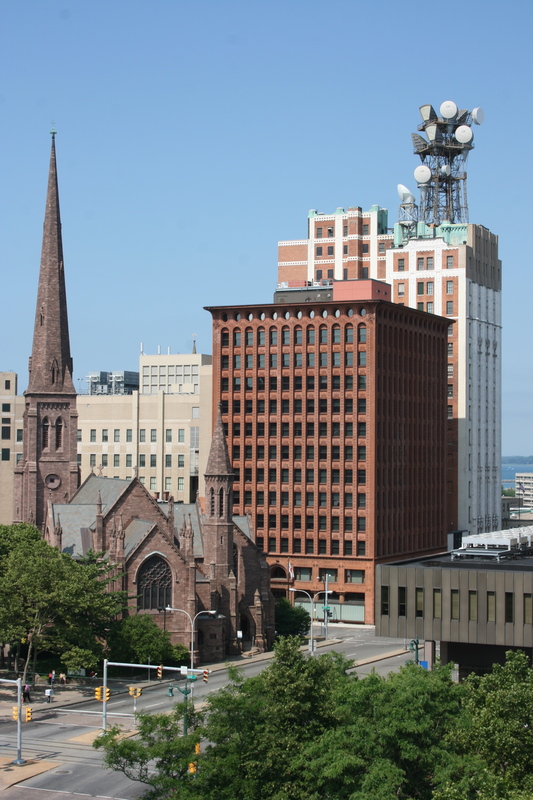 It stands taller than the Wainwright by a few stories, and like Sullivan’s other structures, appears to grow out of its foundation.